Over 60 high school students from around the state got an inside look at state government during “Under the Dome” on March 28, 2012. The students started their day at UIS and were later bused to the capitol where they took a tour, learned about the legislative process, and met with lawmakers. “Under the Dome” is a premier immersion event for high school students interested in government, politics, and public service. The day of activities is designed to highlight careers in state government. UIS alumni, who work at the capitol, and staff, who regularly interact with state lawmakers, lead the tours. For many of the students this was their first time learning about state government, other than in the classroom or from the newspaper. It changed their impressions about how the process works and politics in general. “Politics actually isn’t that boring. When you see all of the stuff going on it’s busy and not as boring as office jobs,” said Sydney Miller, a junior from Pana. While on the behind the scenes tour, the students got to meet with Illinois Secretary of State Jesse White, House Minority Leader Rep. Tom Cross, and House Speaker Michael Madigan’s chief of staff Tim Mapes, among others. For many of the students it made them think about their future career choices and sparked a first time interest in state government. UIS hosts “Under the Dome” to educate students about state government and also let them know about the opportunities available at UIS. UIS has hosted the “Under the Dome” event for the past four years. For more information on the next “Under the Dome” event visit www.uis.edu/welcome/dome.html. Over 20 students from the University of Illinois Springfield spent a week in New Orleans helping to rebuild hurricane-damaged homes as part of their annual Alternative Spring Break trip March 11-18. While they could have been on the beach, the students decided to spend spring break fixing up two badly damaged homes. The volunteers repaired studs, replaced drywall, installed insulation and helped with other tasks. “We were going to go to Florida, but decided there was a bigger need for New Orleans because with Hurricane Katrina coming through six or seven years ago. They’re still rebuilding and need help,” said Kelsey Thompson, a UIS sophomore. Students worked with HisHands2Go (HH2G), an organization created shortly after Hurricane Katrina to facilitate the continued need for volunteers. HH2G arranged housing and food for the students and coordinated work projects. Students raised money for the trip through several fundraisers on campus, but still had some out of pocket expenses. “It’s worth the fundraising, it’s worth the money you pay just to get out here and actually help people and see that your work is appreciated,” said Rogers. Unlike past Alternative Spring Break trips, the students actually got to meet the families they were helping, shake their hands, and hear their stories. It was an emotional experience that the students will not soon forget. “Not only am I making a difference in one homeowner or families life, but I’m making a difference in the community as a whole. That was important to me,” said Caitlyn Clausen, a UIS sophomore. While students were working, they realize they were also learning during the trip. For more information on future Alternative Spring Break trips, contact the UIS Volunteer & Civic Engagement Center at volunteer@uis.edu or visit their website at www.uis.edu/volunteer. The University of Illinois Board of Trustees approved the renaming of the UIS Visual Arts Department to constitute the Department of Art, Music, and Theatre in the College of Liberal Arts and Sciences during their March 15, 2012 meeting in Urbana. Currently, the Theatre Program, with a minor, is located in the Communication Department, while Music is not formally associated with any other department. Because Theatre, Music, and Visual Arts are currently separated and disconnected, students consistently report difficulty finding coursework in these areas. Reorganizing and renaming the Visual Arts Department as the Department of Art, Music, and Theatre will make the academic programs for the arts more prominent and more easily recognizable to prospective students and provide a solid foundation for continued growth. In addition, this administrative consolidation will allow the Springfield campus to continue to attract highly qualified faculty to complement current expertise and create a prominent creative arts department. The Downstate Illinois Innocence Project (DIIP), housed at the University of Illinois Springfield, has helped to exonerate Jonathan Moore, 30, of Aurora, who was previously convicted of murder and attempted murder. 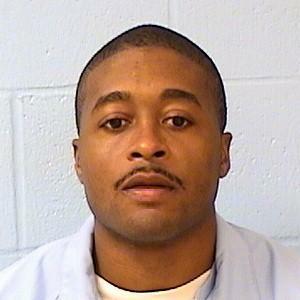 Moore walked free following a court hearing in Kane County on Tuesday. The exoneration involved an unprecedented cooperative effort between the Downstate Illinois Innocence Project, the Kane County State’s Attorney, and Aurora Police. Moore was originally convicted of killing 20-year-old Shawn Miller and the attempted murder of a second man during a shooting in front of an Aurora coin laundry in 2000. Following his conviction, he spent almost 12 years in prison. The Downstate Illinois Innocence Project case was led by Legal Director John Hanlon with the assistance of Steve Schott, a student at the University of Illinois at Urbana-Champaign College of Law, and several UIS students. The Downstate Illinois Innocence Project (DIIP) has a three-part mission: to evaluate and investigate cases for credible claims of an Illinois inmate's actual innocence, and, when appropriate, provide legal representation and/or other assistance toward proving the inmate's actual innocence; to encourage meaningful reforms toward preventing the conviction of innocent persons in the future; and to educate the public and provide important educational and experiential opportunities for students about wrongful convictions. Construction is now underway on the second and third phases of a multi-million dollar housing renovation project at the University of Illinois Springfield. Workers are transforming older apartments in Clover Court, on the east side of campus, into newly remodeled townhouse units. The east side apartments were built between 1980 and 1992, making them the oldest units on campus. The buildings have been heavily lived in over the years and are showing signs of wear and tear. In Clover Court, crews have removed the stairs from the outside of the buildings. The staircases are now located inside each townhouse, which features a central kitchen, living room and private bedrooms. Each townhouse has an upstairs and downstairs bathroom, new appliances, and walk-in closets. “We hope that people consider this as a viable option for where they want to live next year,” said Ringle. The remodeling effort is taking place in four phases over a span of four semesters. Phase one, which included a remodel of 32 units in Larkspur Court was completed in 2011. Phase two involves the work at Clover Court, while phase three involves renovations at Bluebell Court. The final phase will consist of remodeling additional units in Larkspur Court and Sunflower Court over the summer. Unlike the previous brown wood exterior, each of the townhouse buildings will now be outfitted with a different color of vinyl siding. “This will make them more colorful and also easier for residents and visitors to distinguish between the different townhouses,” said Ringle. A section of Clover Court will remain apartment style to house families and graduate students. A portion of Bluebell Court is being set aside as the new location for the International House, where students from different cultures can live under one roof. Another Bluebell Court building will also accommodate the first-ever graduate student housing community at UIS as well. The overall project is being paid for through auxiliary finance system funds. All work is scheduled to be complete by the fall semester of 2012. A group of students from the University of Illinois Springfield will spend their spring break volunteering in New Orleans, a city still recovering from the devastation of Hurricanes Katrina, Rita and Gustav. 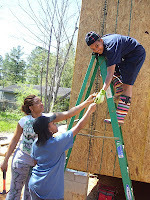 Students will focus their efforts on helping to build houses and community gardens. The 21 undergraduate students, 1 staff member, and 2 advisers will leave Springfield on Sunday, March 11 at 6 a.m. and return to campus on Sunday, March 18 between 8 and 10 p.m. Students will work with HisHands2Go (HH2G), an organization created shortly after Hurricane Katrina to facilitate the continued need for volunteers. HH2G will arrange housing and food for the UIS students and coordinate work projects. The goal of the organization is to put people back in their homes. Alternative Spring Break at UIS is a student-driven effort. The students choose the location, organize the logistics, and raise necessary funds. Students fill out applications to go on the trip and must be dedicated. “This time of year, thousands of students across the country will head to the beach or spend a week chasing MTV to Las Vegas, but these students have chosen to return to Louisiana and work towards making a difference in an under-resourced neighborhood that continues to struggle with the aftermath of natural disaster. I think that speaks to the character of our students and the role of service at UIS” said Mark Dochterman, director of the UIS Volunteer & Civic Engagement Center. The UIS Alternative Spring Break student organization was formed in 2009 when students took their first trip to Mandeville, Louisiana to help build homes for Habitat for Humanity following Hurricane Katrina. In 2010, students traveled to Galveston, Texas to help clean up damage from Hurricane Ike, which struck in 2008. Last year the students traveled to Nashville, Tennessee to help clean up portions of the Mississippi River. For more information on Alternative Spring Break, contact Mark Dochterman, director of the UIS Volunteer and Civic Engagement Center at 225/921-9398 or email mdoch2@uis.edu. If you receive a Statement of Economic Interests form . . . Submit the completed form to the University of Illinois Ethics Office by April 20, 2012. The University Ethics Officer will review and forward all completed Statements to the Secretary of State by the May 1, 2012 deadline. Call the Ethics Help Line at 866-758-2146 or visit the University Ethics Office Web site at www.ethics.uillinois.edu/statements/index.cfm.